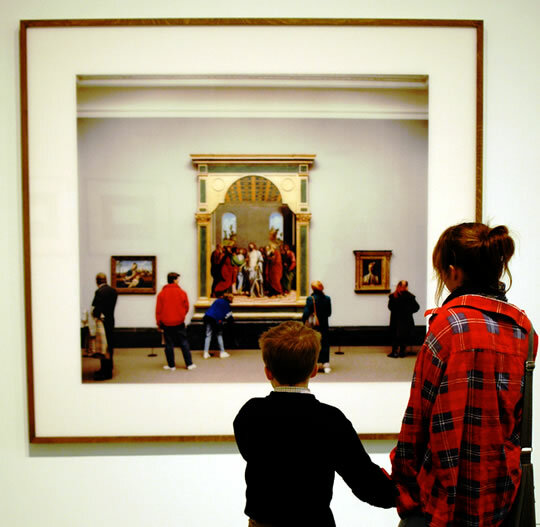 Study of school trips to a museum provides evidence that art can elevate the mind. A new large-scale experiment on over 10,000 students finds that a one-hour tour of an art museum can increase empathy, tolerance and critical thinking skills. The study took advantage of a new museum opening in the US state of Arkansas, which many schools applied to visit (Greene et al., 2014). By carefully timetabling when they visited, the researchers were able to create an experiment on the effects of art on the students’ mind. Each school was randomly assigned to visit the museum earlier, or delayed until later. Each school that visited earlier was demographically matched with a similar school that had to wait–this provided the control group. The museum tour itself was pretty simple. It was one hour long and they viewed and talked about five paintings. The entire trip was around half a day. After the early museum visits, all the students, including those that hadn’t been, were asked to write about a painting they hadn’t seen before to assess how they thought about art. They were also tested for historical empathy and tolerance. Thought about art more critically. Displayed greater empathy about how people lived in the past. Expressed greater levels of tolerance towards people with different views. The museum had clearly been a mind-expanding experience for the young people. Interestingly, the improvements were larger when the students were from more deprived backgrounds. Visiting the museum also made students more likely to want to visit art museums again in the future. This could create a cascading effect over their lifetime, continuing to boost critical thought, empathy and tolerance. Field trips are often seen by teachers and students as purely for pleasure, rather than for educational purposes.